It seems like Japanese themed malls are all the rage these days. Just along Orchard Road there's the entire atrium at Plaza Singapura and now 313 Somerset has recently revamped its level 3 to house all things Nihon in terms of food and fashion. Taking over the terribly overpriced Blue Mountain is Japanese Italian Cafe Dolce Tokyo which serves an extensive variety of Japanese sweets, as well as other savory dishes. With more than 50 variations of tea and coffee at Dolce Tokyo, ranging from lattes, frappes to shakes, it is no wonder why Dolce Tokyo is the perfect spot for shoppers to rest their feet after shopping, or for those looking for a sweet something to conclude their meal. 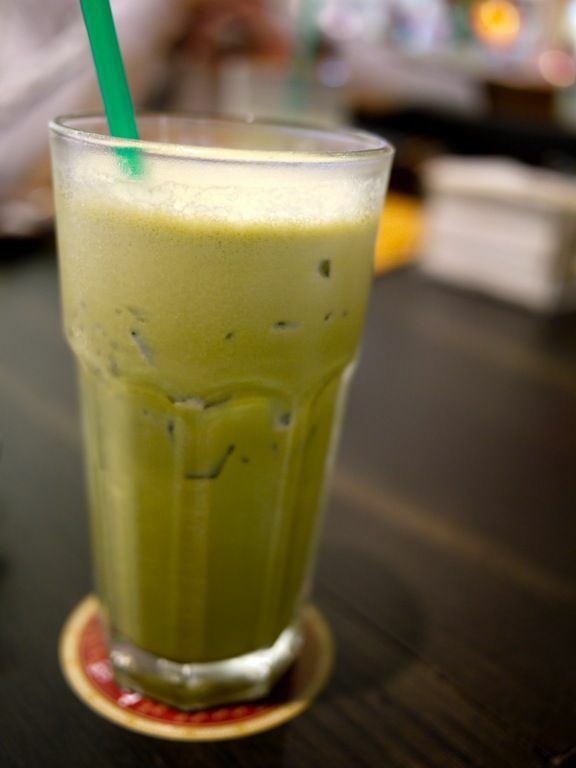 I had the milky Iced Matcha Latte ($7) which was a welcomed relief after my hot yoga session. Would have preferred a more intense green tea flavor but this would suffice. 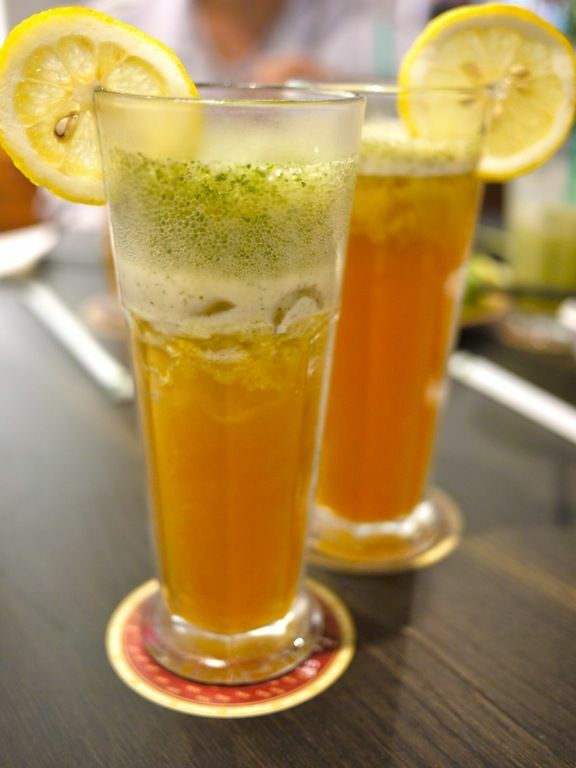 The signature blended Iced Mint Yuzu Tea ($6.50) was a little too funky for me. The tea was quite sweet but the bitter aftertaste from the yuzu peel and the cool mint made me put the drink aside after 2 sips. Well i did give it a second chance.. I would say that the cafe is really more Japanese than Italian. Don't go expecting pasta or pizzas as sandwiches and crostinis are the Italiano representatives here. 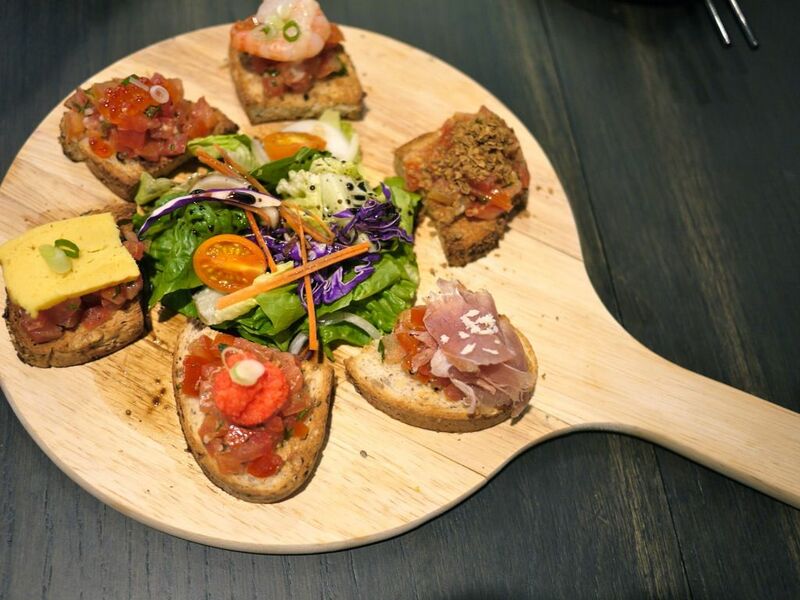 The Mixed Crostini Platter ($18) consists of the tomato concasse with chilled shrimps, salmon roe, tamagoyaki, smoked salmon (we had parma ham instead). Mix and match your own. 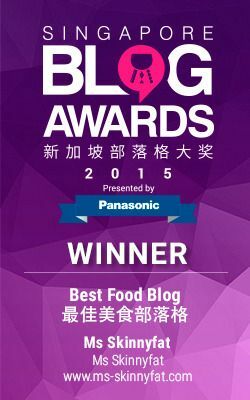 These are pretty good for sharing and i love the crispy grilled multigrain bread that is from their central kitchen. 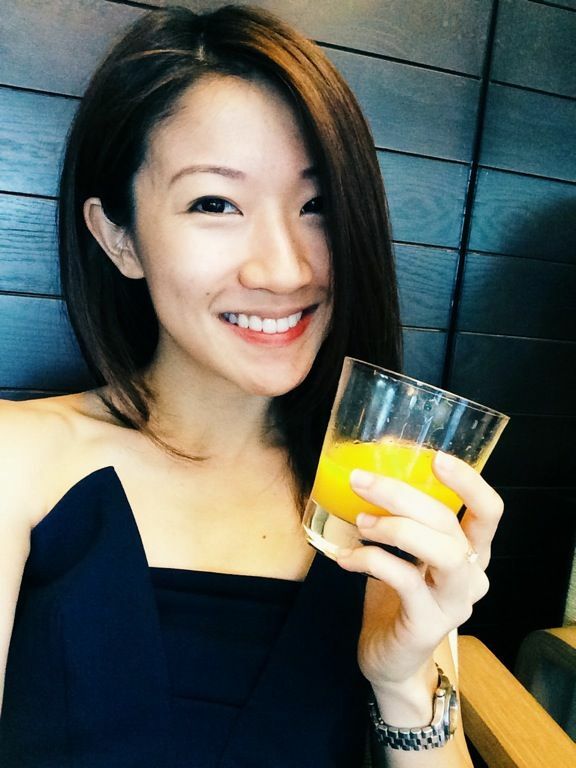 All day breakfast is also served here but i'm not impressed with the food. 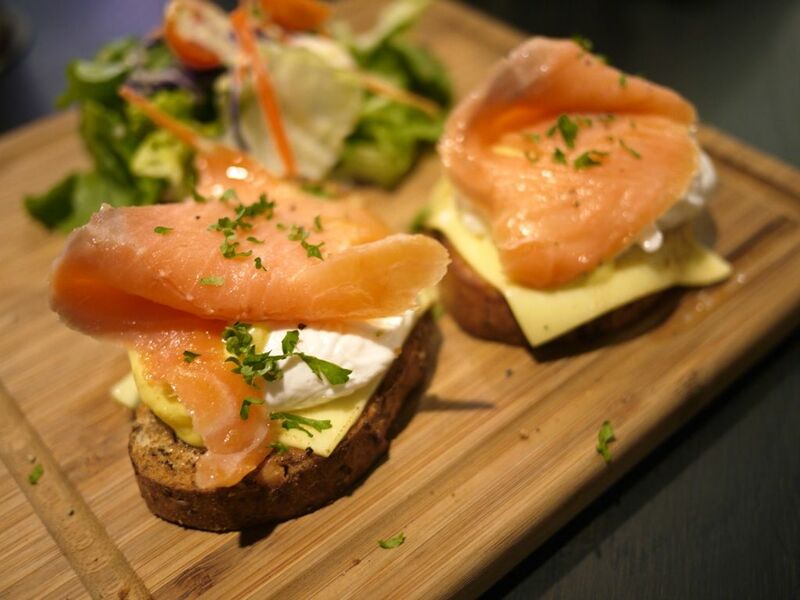 With Wild Honey (read review here) just next door serving better quality breakfasts at similar prices, i really don't see myself paying $22 for the Smoked Salmon Benny here. That's not to say it's terrible tasting. It's decent, just not worth the price tag. My advice? Stick to the Japanese dishes. 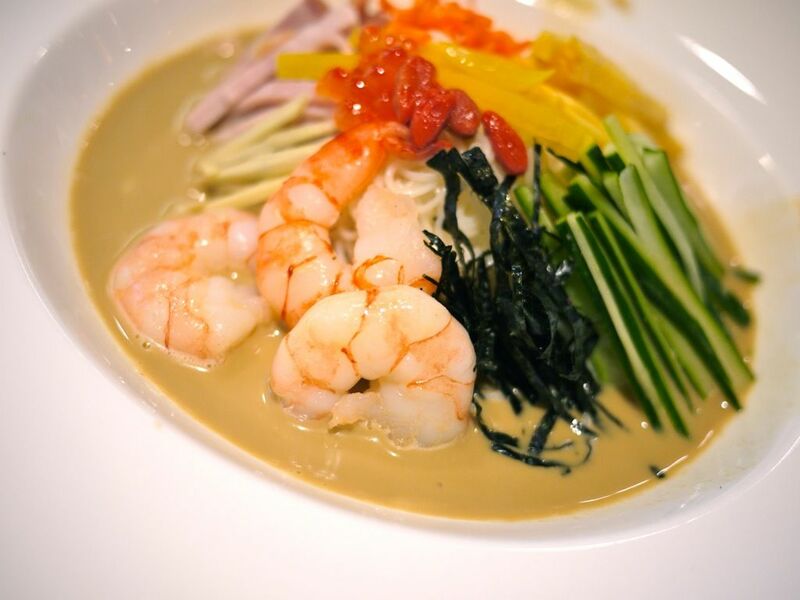 The Hiyashi Chuka ($17/19) is one of our favorite dishes of the night. Cold Somen with strips of tamago, cucumber, carot, ginger, ikura, gammon ham, nori, wolfberries and shrimps; drizzled with a light sesame sauce. I can never say no to cold Japanese noodles. It's so easy on the palate I could finish it all. 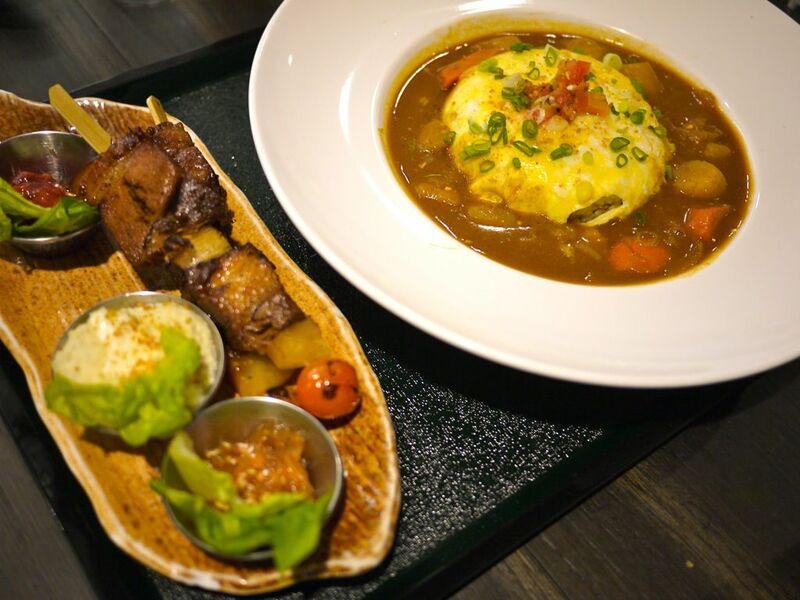 If you like Curry Rice, the one at Dolce Tokyo is pretty decent and rich in flavor. Each order (original $16; omu rice $19) comes with a stick of skewer (choose from a selection of 4). The Teriyaki Pork Belly skewer is well marinated and tenderly braised just like the chinese kong ba. The 3 side dishes changes daily; we had the baby octopus, potato salad and marinated jellyfish. Another hit with us. 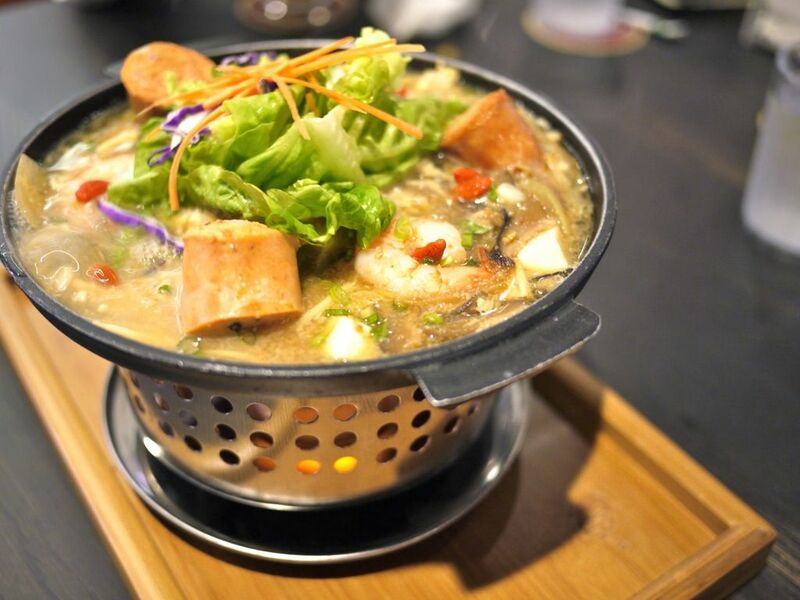 A Sukiyaki styled hotplate is also available. We had the Ebi Toji ($12) topped with a Pork Chorizo Sausage. S loved every bit of this because sukiyaki is his nemesis. Add on $5.50 for a bowl of rice with miso soup or $8.90 for a slice of cake/dessert of the day. 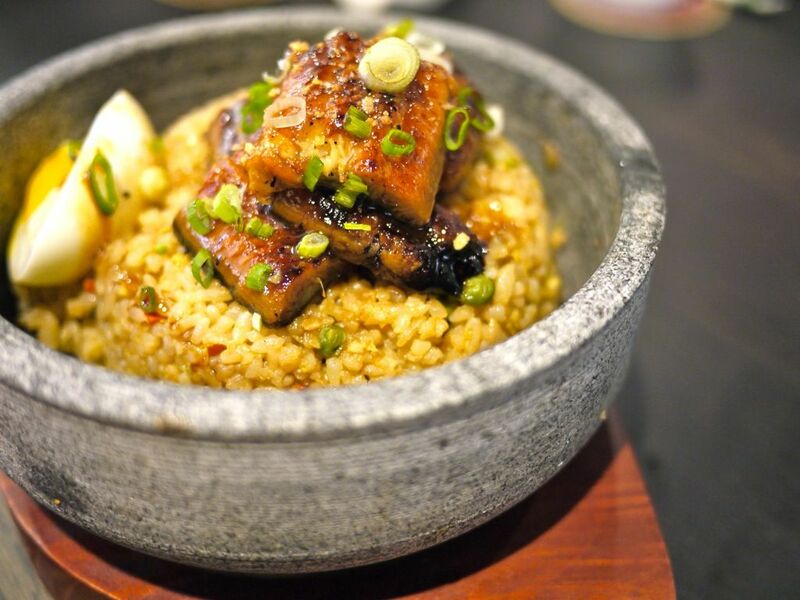 I'm quite a fan of the Unagi Fried Rice served in a hotstone bowl ($20). This comes with a skewer as well. Flavorful fried Japanese pearl rice which is slightly sticky and fluffy. Good quality unagi, comparable to any decent Japanese restaurant, was served. My favorite part of the dish has got to be the crispy burnt rice at the bottom. Crunchy! Now on to desserts. The Japanese style cakes are light and fluffy. 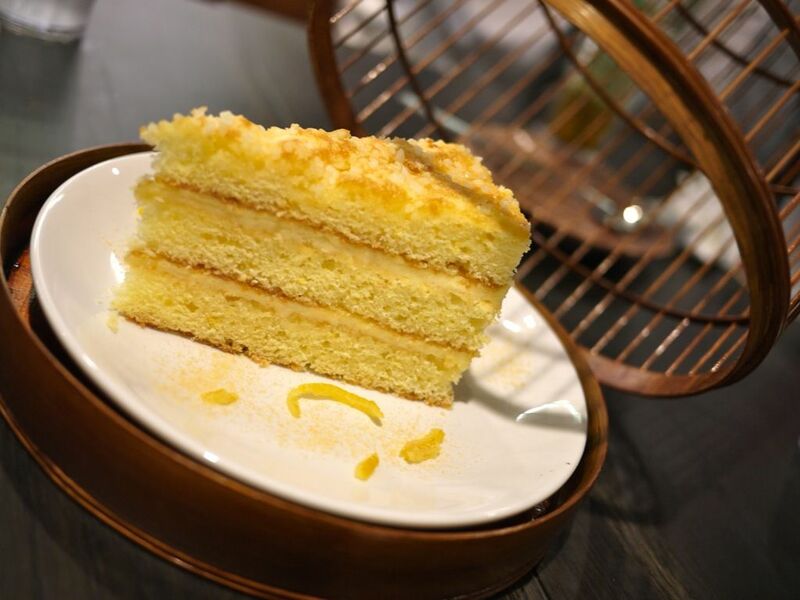 The Yuzu cake is made the traditional way, a little more grainy and dry. However, the yuzu paste was refreshing and not too sweet. The chef insists on using Japanese ingredients for the cakes, which kinda translates to higher costs. This slice will set you back by $11.50 but it's a huge slice that can be easily shared between 2-3 pax depending on your appetite. 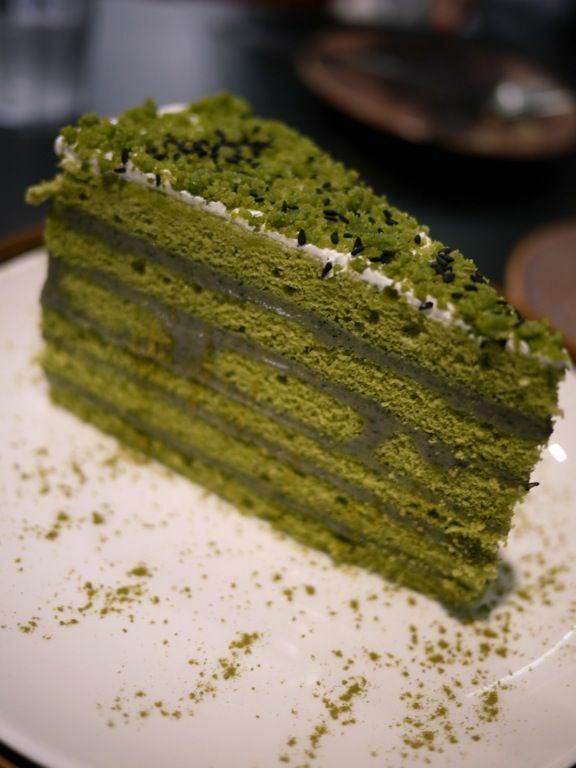 I absolutely adore the Green Tea with Goma Sesame cake. This is moist and light and rich in the black goma and matcha flavors. The matcha-goma crumble on top really takes the cake, literally and figuratively. I would have this anytime. Highly recommended. 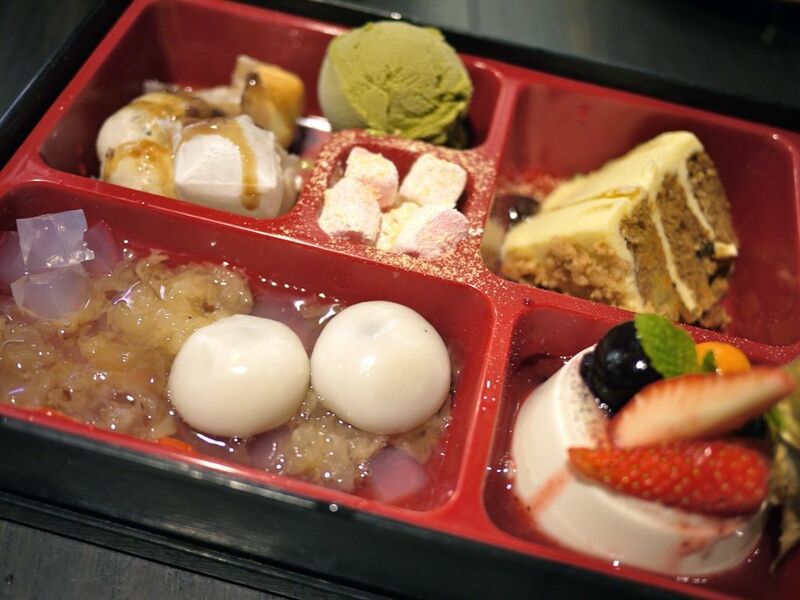 The Dolce Tokyo’s signature Dessert Bento ($18.90) is a combination of desserts in tasting portions. Shiratama (a popular Japanese rice cake) with Konnyaku Jelly, Panna Cotta with Caramel and Marshmallow, with Brownie and Vanilla Gelato all in one dessert box (ours was replaced with carrot cake and matcha ice cream). It's a little haphazard and none of the above impressed me. I ate all that kantan jelly even though it was tasteless because i was told it will improve my complexion. Beauty be the death of me. 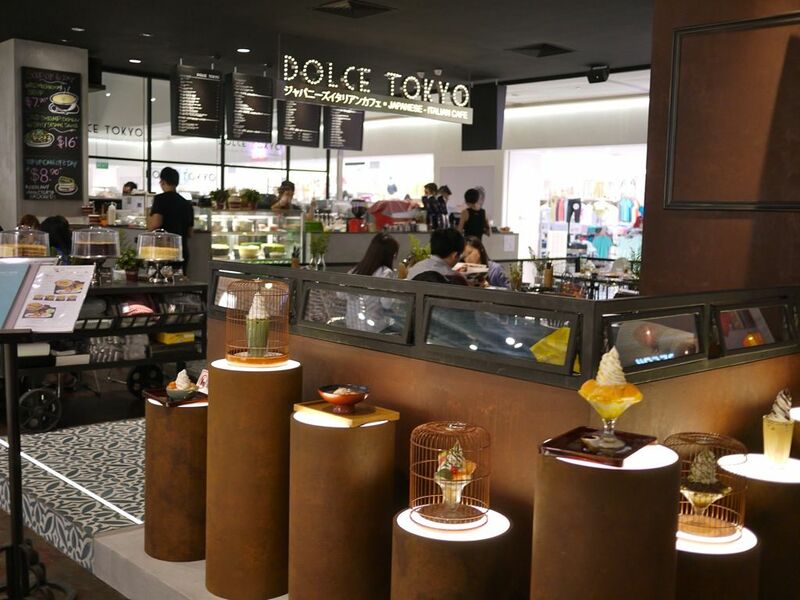 Located at Level 3 of 313 Somerset next to popular Japanese fashion stores Uniqlo and Lowry’s Farm, Dolce Tokyo is a relaxing spot for customers to wind down and mingle with friends over a nice meal or cakes. Give it a shot. Follow my recommendations and you won't go wrong.